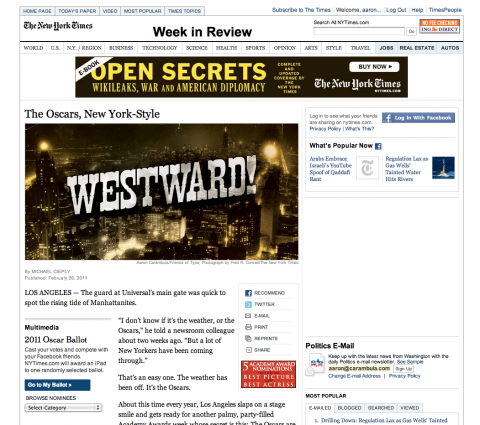 Illustration for a piece on the Oscars in the New York Times Sunday Review. 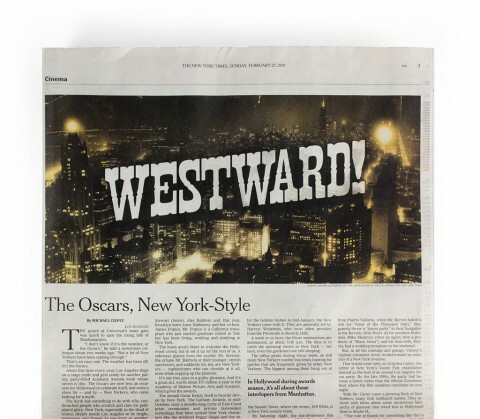 A fairly cheeky piece, the author ginned up proof of the Oscars being a party Los Angeles throws for New Yorkers, playfully praising the spectacle without ceding any cosmopolitan superiority. For the illustration I borrowed the style of Hollywood’s Westerns and did it up noir-style with a distinctly golden file image of Gotham. A dream come true, the piece ran full-width with my name at long last set in Cheltenham on the pages of the Old Gray Lady.